We specialize in optical Time-of-Flight (ToF). 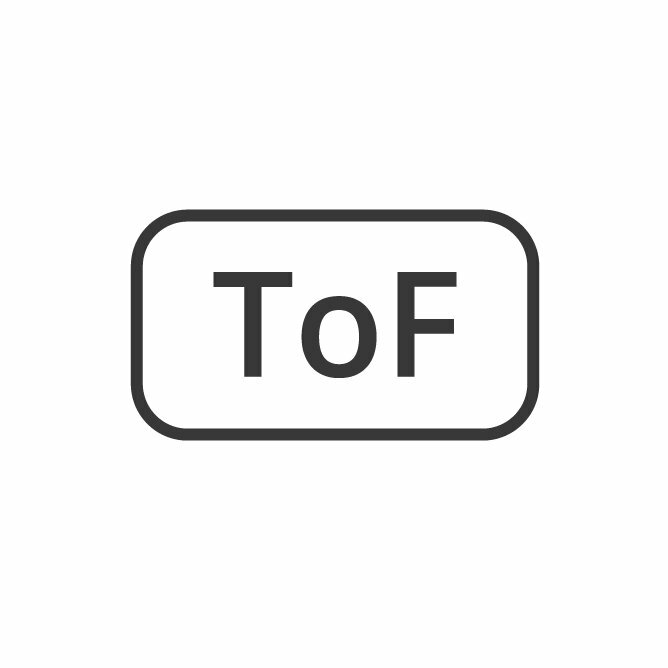 For range-finding, ToF is very powerful when emitting light rather than sound. 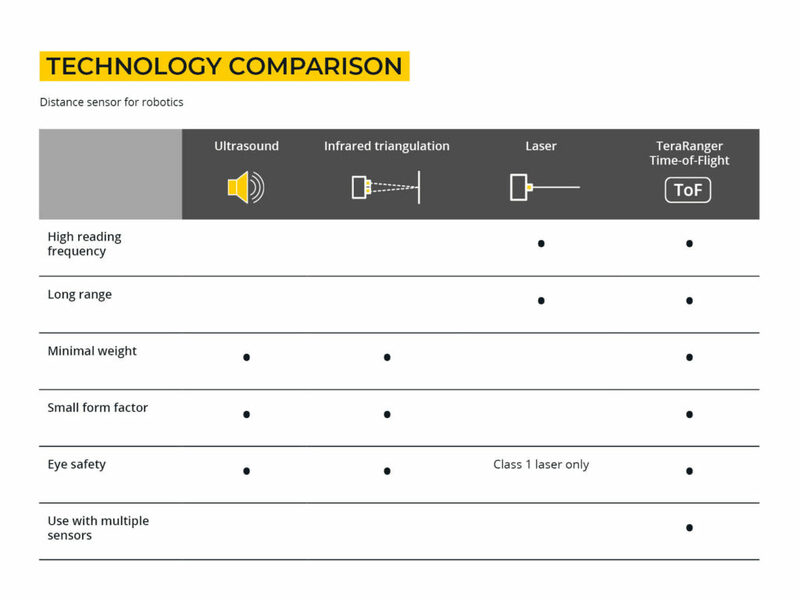 Compared to ultrasound, it provides far greater range, faster readings, and greater accuracy whilst still maintaining small size, low weight and low power consumption characteristics. 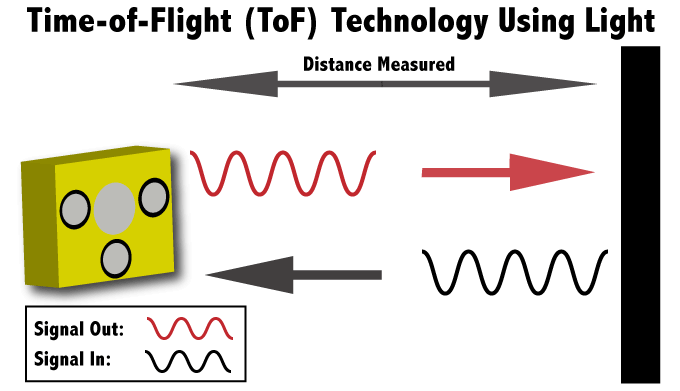 The Time-of-Flight principle (ToF) is a method for measuring the distance between a sensor and an object, based on the time difference between the emission of a signal and its return to the sensor, after being reflected by an object. Various types of signals (also called carriers) can be used with the Time-of-Flight principle, the most common being sound and light. 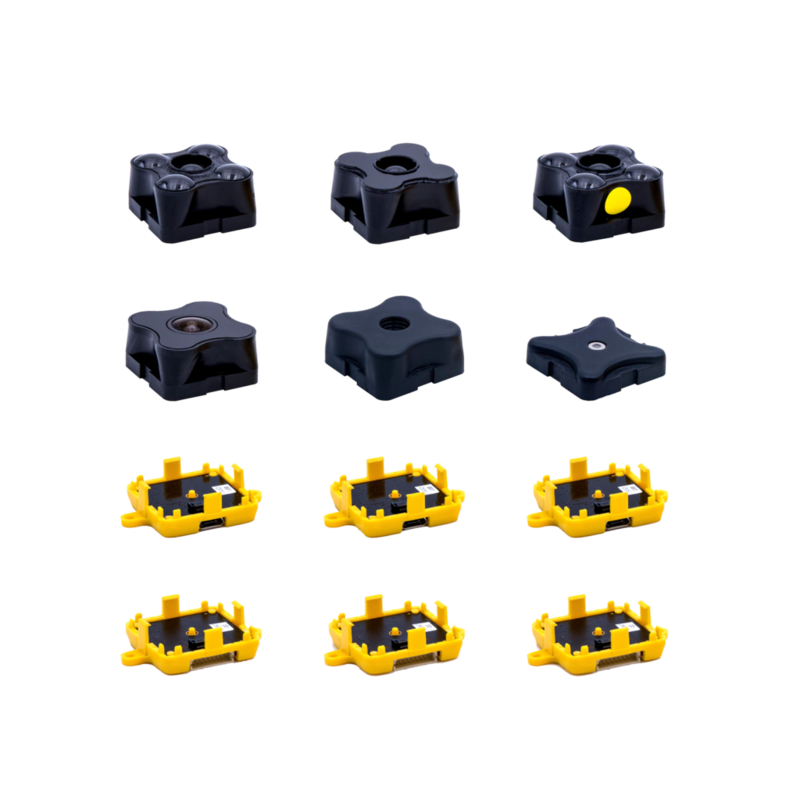 TeraRanger sensors use light as their carrier because it is uniquely able to combine higher speed, longer range, lower weight, and eye-safety. 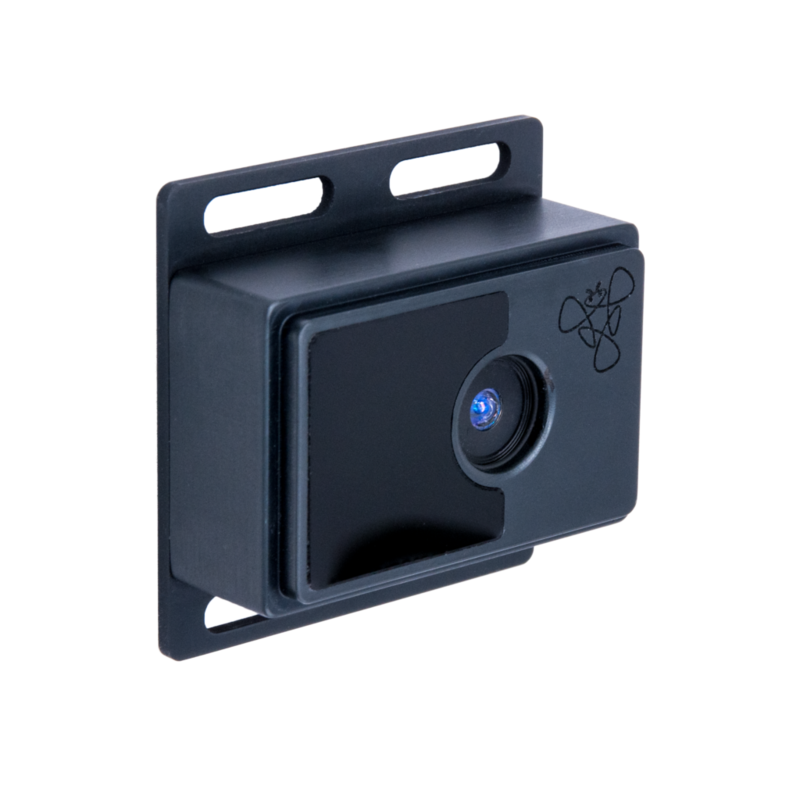 By using infrared light we can ensure less signal disturbance and easier distinction from natural ambient light, resulting in the highest performing distance sensors for their given size and weight. 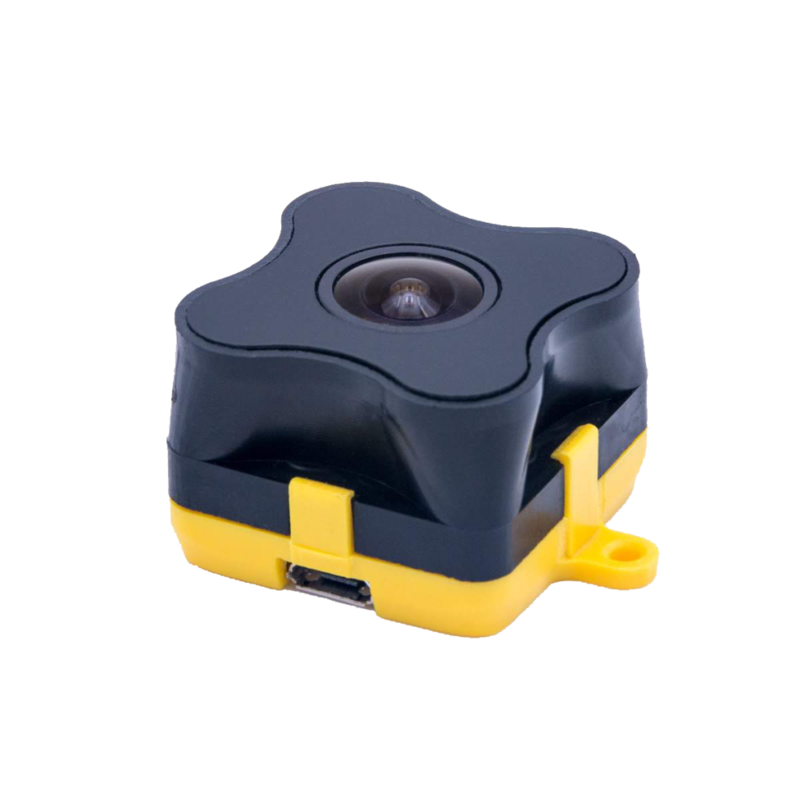 TeraRanger tof sensors are the smallest size and lightest weight ToF distance sensors on the market at this performance level. (A TeraRanger Evo weighs just 9g!) This means that sensors can be placed in locations not previously possible when using larger, heavier sensors. For mobile robotics, including drones, this is a real advantage! TeraRanger tof sensors are optimised for high-speed readings. TeraRanger One can measure FIXED 600 readings per second! In addition to being small and lightweight, high data refresh rates are central to our design ethos, making the sensors ideal for fast-moving applications, from mobile robotics to industrial automation and smart city applications like traffic monitoring and management. Instead of using laser emitters we use Infrared LED technology. This brings a number of important benefits. Eye-safety: TeraRanger sensors remain eye-safe in all conditions, with no need for Laser Class 1 safety precautions! Field-of-View: Rather than measuring a very small point, we can allow the emitted light to spread and form a Field-of-View. In many applications, this can be a distinct advantage. Imagine a sensor trying to detect a tree. With a laser, you might detect the leaves, or pass through the gaps and detect something much further away. In a robotics safety or anti-collision situation, this could spell disaster. With TeraRanger technology you are far more likely to detect the hazard you want to avoid. Generally, at 1m to the target, a TeraRanger One sensor is measuring an area approximately 4cm by 4cm. Power consumption: Compared to some laser devices, LED’s consume far less power; something all users relying on battery-power will enjoy. 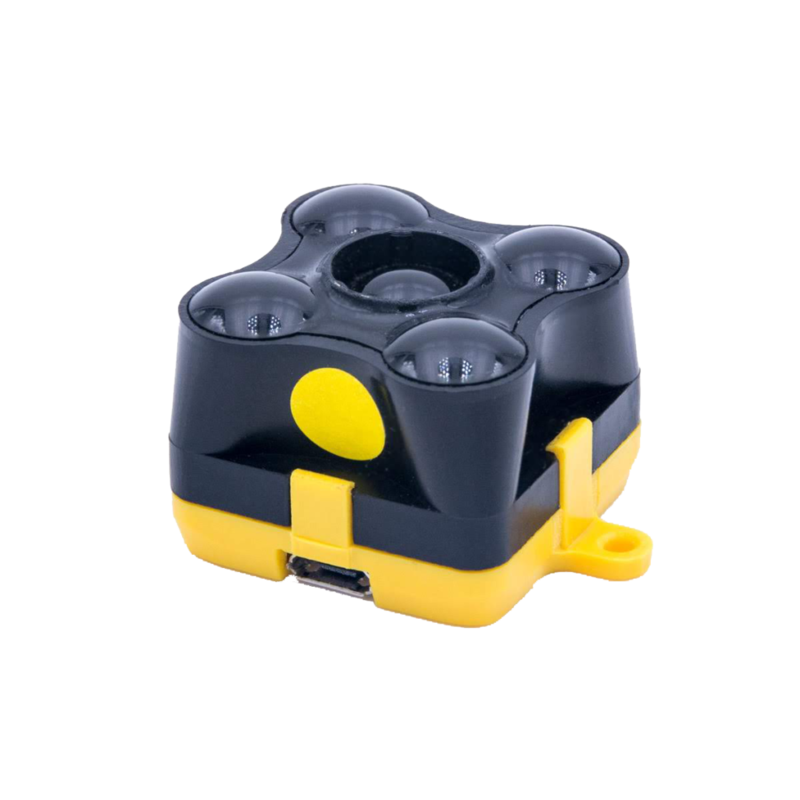 All TeraRanger sensors are plug and play. There is no customer calibration to do and no need to convert complex outputs into distance readings. TeraRanger sensors simply stream calibrated distance values in mm’s. We take care to compensate for environment variables, such as temperature and ambient light, automatically and instantly adapting to the conditions to provide the highest possible performance. The sensors support multiple communication protocols and in most cases, when you connect the sensor, it will automatically recognize the host computers communications protocol (typically Serial/UART or TWI/I2C) and load the corresponding firmware. Only TeraRanger technology provides a simple plug and play approach to multi-sensor applications. 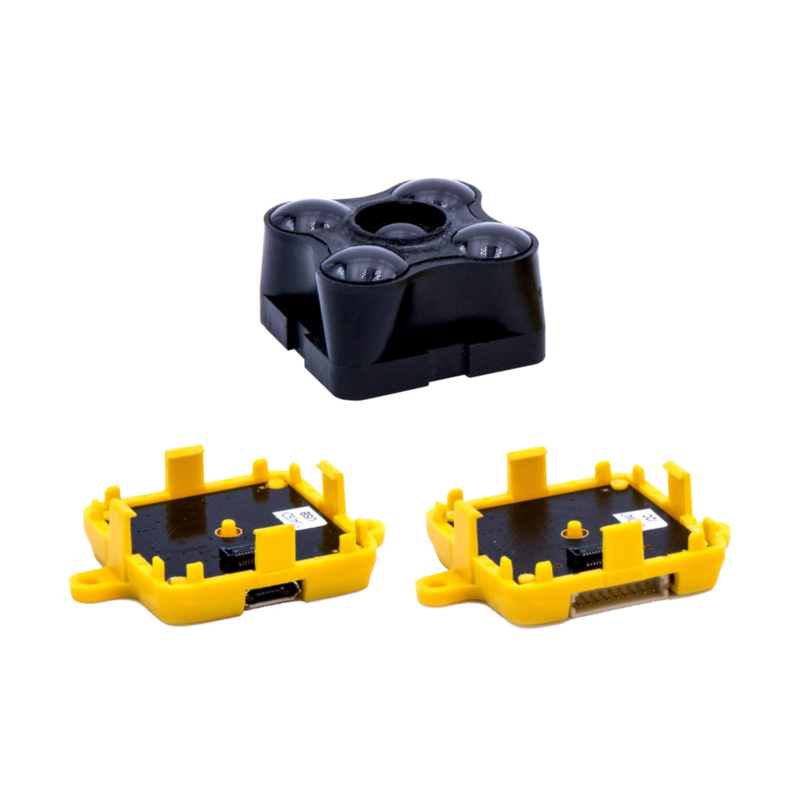 TeraRanger Multiflex for example provides 8 sensors connected to one flexible bus whilst the TeraRanger Hub Evo allows up to 8 TeraRanger Evo sensors to be connected, with the Hub centralizing power management, sensor synchronization and communications. Sensors can be placed in almost any direction, providing a fast and efficient way for clients to create custom arrays and configurations.